The present watercolour was reproduced as a silk print by Forman of Nottingham as a 'reward' by one of the cigarette companies for collecting coupons in their packets. 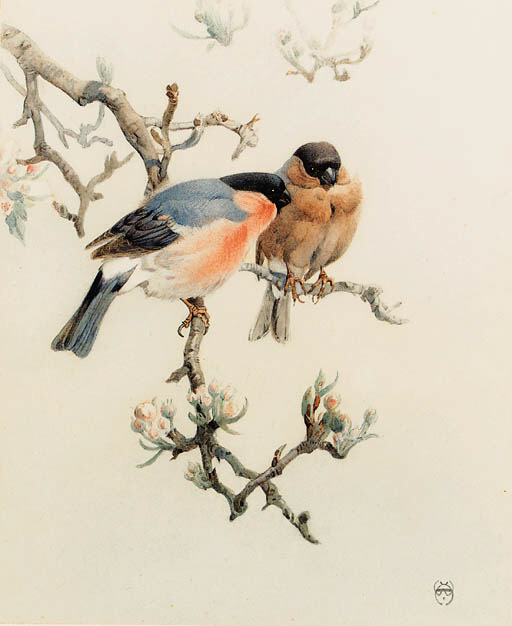 Winifred Austen illustrated a number of ornithological books and contributed to various magazines. She exhibited regularly at the Royal Academy from 1899, the Royal Society of Painter-Etchers and Engravers and the Society of Women Artists.